The People’s Committee in the Mekong Delta province of Dong Thap has proposed the Government to instruct relevant organs to increase the floor price to purchase rice for stockpiling, aiming to ensure 30 percent profit margin for farmers. 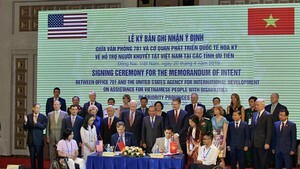 The Vietnam Food Association said that businesses have bought 20 percent of the assigned volume at the price of VND4,500-5,400 a kilogram in the Mekong Delta. It is VND100-250 higher than the price before the rice stockpiling program was launched on February 20. According to the Ministry of Finance, farmers have to spend VND3,134-4,474 to produce a kilogram of winter spring rice. The production cost is up to VND4,200 in Dong Thap Province. The current rice prices fail to bring them the profit margin of 30 percent as per Government’s policy. Duong Nghia Quoc, director of the Department of Agriculture and Rural Development in Dong Thap Province, said that the rice prices now can not bring farmers enough profit to make up for the remaining crops this year. Winter spring is the main crop every year. In Kien Giang Province, traders pay famers only VND4,200 for a kilogram of the low-quality IR50404 variety. Tran Quang Cui, deputy director of the Department of Agriculture and Rural Development in Kien Giang Province, said that farmers can obtain the 30 percent profit margin at the price of VND4,700 a kilogram. 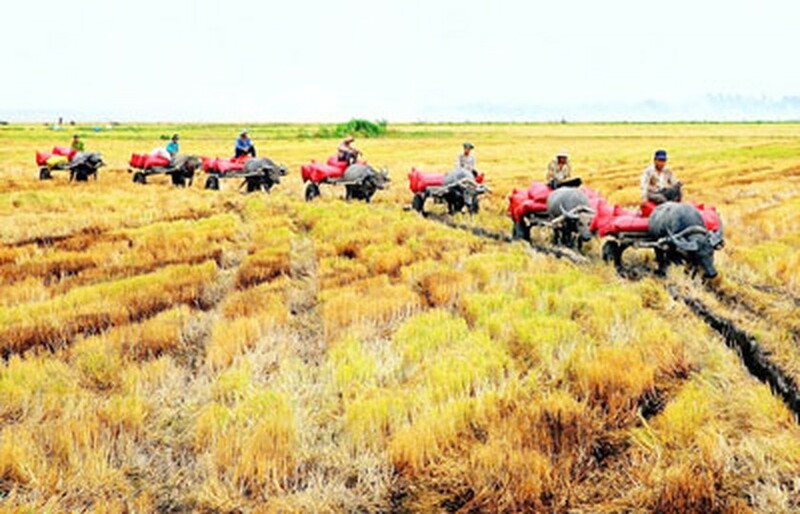 At present, the Mekong Delta has harvested more than 700,000 out of 1.52 million hectares of winter spring rice. The remaining area is already in ear or ready for harvest. Dong Thap and Hau Giang Provinces and Can Tho City are among localities having highest productivity-6.86-7.03 tons per hectare.